* This giant collection of simplified piano arrangements contains everything from traditional carols to popular Christmas standards and novelties. 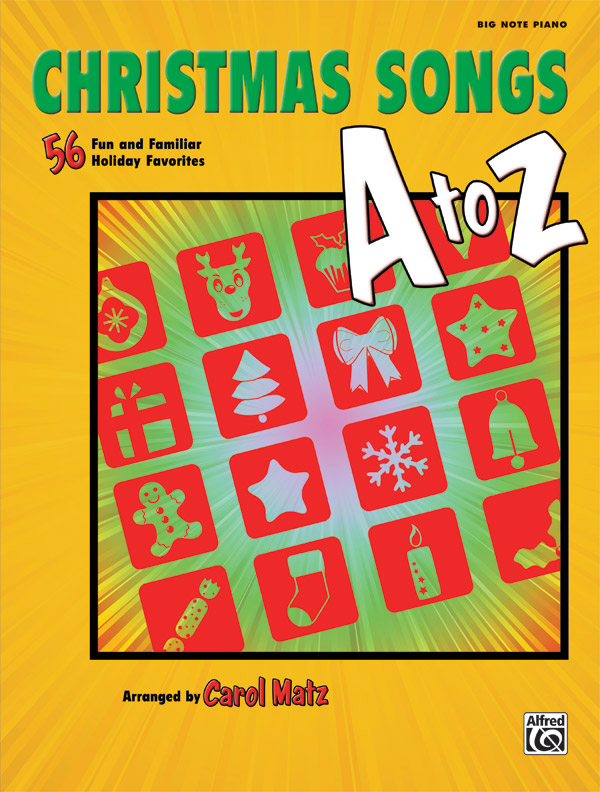 * It's the perfect songbook for any occasion, from family sing-alongs to holiday recitals. * Titles: Angels We Have Heard on High, Ave Maria, Away in a Manger, Believe (from The Polar Express), Bring a Torch, Jeannette, Isabella, Celebrate Me Home, The Christmas Waltz, The Coventry Carol, Dance of the Sugar Plum Fairy, Deck the Hall, Ding, Dong, Merrily on High, Felíz Navidad, The First Noël, Frosty the Snowman, Fum, Fum, Fum, The Gift, God Rest Ye Merry, Gentlemen, Good Christian Men, Rejoice, Hallelujah! Chorus, Hark! The Herald Angels Sing, Have Yourself a Merry Little Christmas, (There's No Place Like) Home for the Holidays, I'll Be Home for Christmas, It's the Most Wonderful Time of the Year, Jingle Bell Rock, Jingle Bells, Joy to the World, Let It Snow! Let It Snow! Let It Snow!, The Little Drummer Boy, March (from The Nutcracker), March of the Kings, Nuttin' for Christmas, O Christmas Tree (O Tannenbaum), O Come, All Ye Faithful (Adeste Fideles), O Holy Night, O Little Town of Bethlehem, Pat-a-pan, Rockin' Around the Christmas Tree, Rudolph, the Red-Nosed Reindeer, Santa Claus Is Comin' to Town, Silent Night, Sleigh Ride, Still, Still, Still, Trepak (from The Nutcracker), The Twelve Days of Christmas, Ukranian Bell Carol, Up on the Housetop, Waltz of the Flowers (from The Nutcracker), We Three Kings of Orient Are, We Wish You a Merry Christmas, What Child Is This? (Greensleeves), When Christmas Comes to Town (from The Polar Express), Winter Waltz, Winter Wonderland, You're a Mean One, Mr. Grinch, 'Zat You, Santa Claus?